I had a few hours in the evening to kill. Mogit was with me. We walked to Phoenix Market City Mall. It’s about a kilometre from my house and a good cup of evening coffee never hurt anybody. 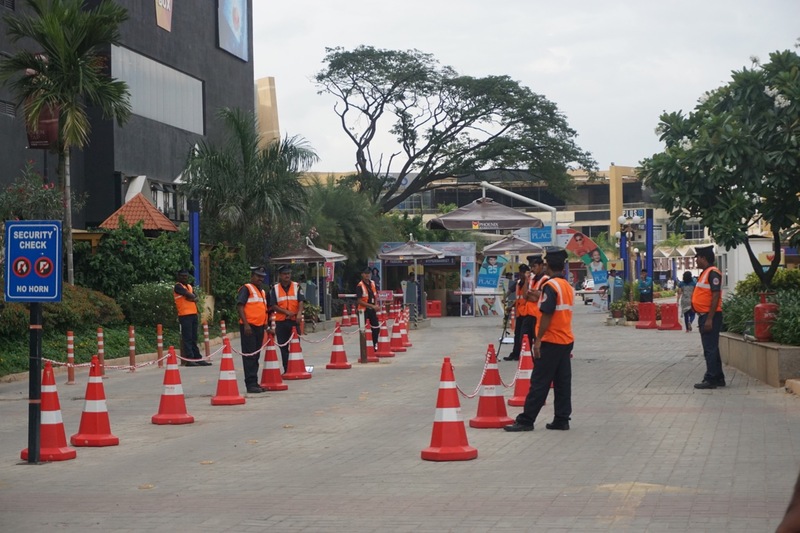 The mall security was getting ready for the Saturday Night onslaught. 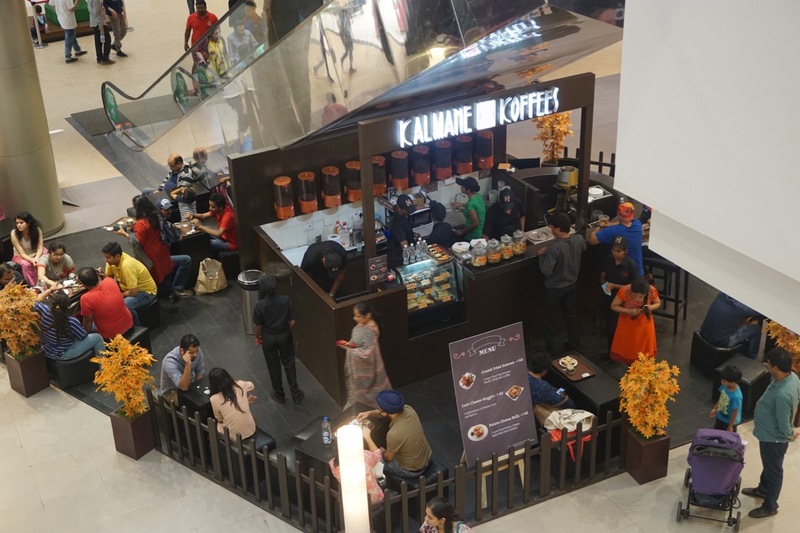 Kalmane Koffee is one of my favourite coffee chains. 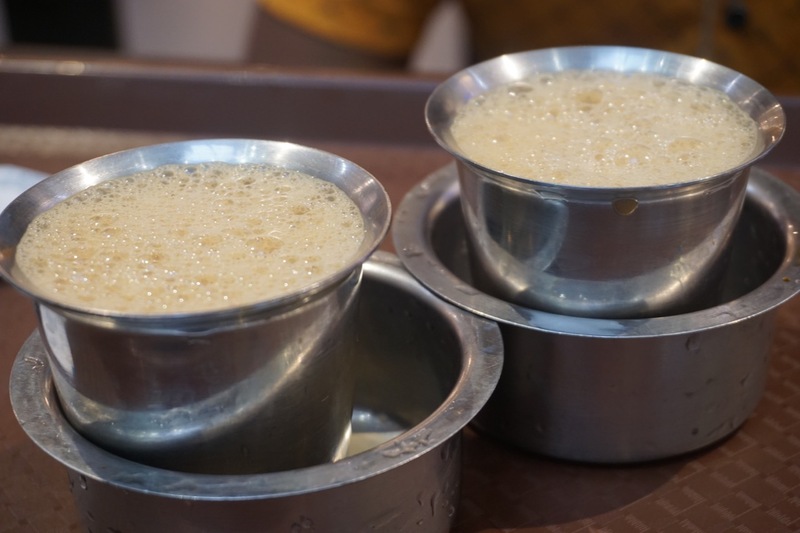 They are one of the few who serve traditional South Indian filter coffee and stock a few variants that have less chicory. A lot of people had already flocked there to have their evening coffee. They serve the coffee in traditional South Indian cups and saucers. These contain their Kapi Bluegrass. By the time we were done with the coffee, the mall had started to crowd up. We went around and could smell calories emitted by every bakery, every doughnut shop and every cookie shop. 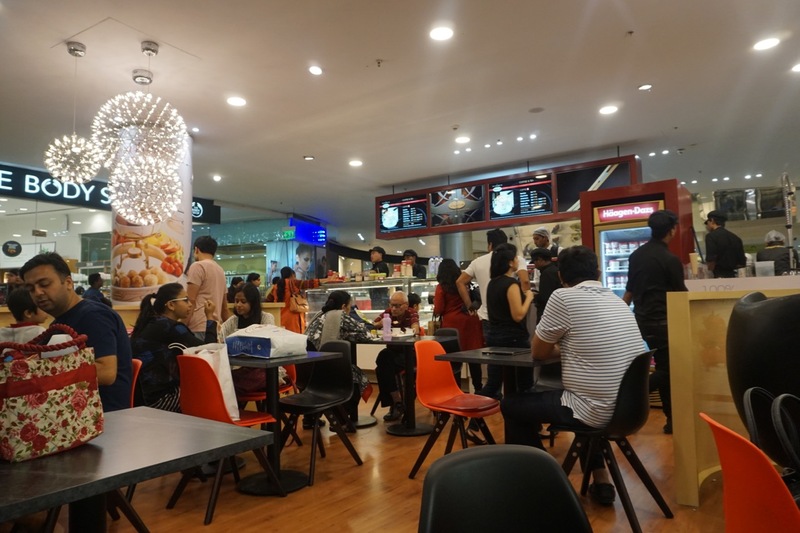 It is as if the mall thrived on the junk food hungry average Bangalorean. There are three doughnut shops, three ice cream shops, three coffee shops and at least five other baked goods shops. And these exclude the shops in the food court. We participated in the calorie fest by having two scoops of ice cream at Haagen Dazs. 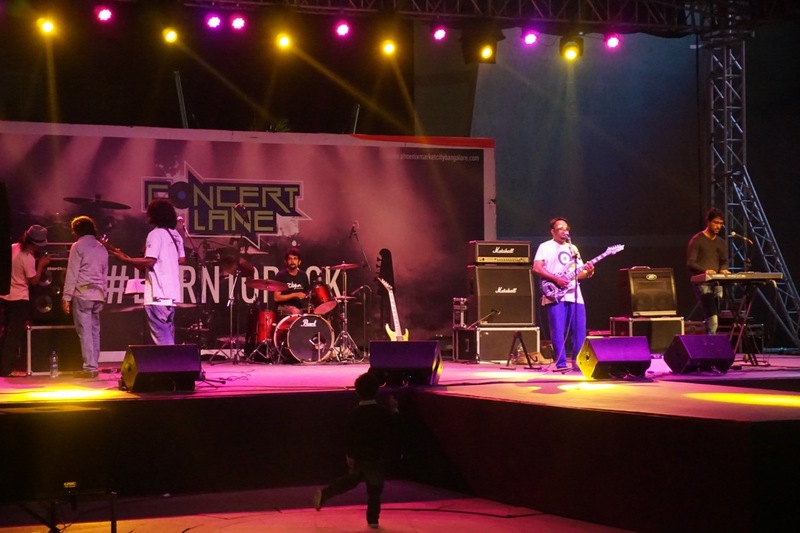 There were some random promo shows and two simultaneous live bands. The one playing inside had a smaller stage, played a tighter set, entertained more crowds than the one in the open arena. 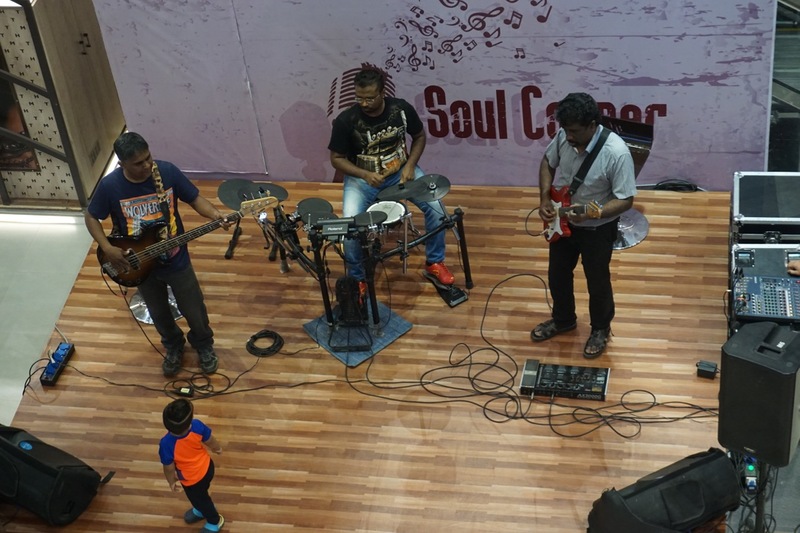 These guys played instrumentals of some popular rock songs like Sultans of Swing and Knocking on Heaven’s Door. These guys were not that tight and the gaps between two consecutive songs were so large that three generations of mosquitos would have bred and died in that time. No one enjoyed these shows more than the children. In fact children were the second largest demographic targeted by the businesses thriving in the mall. This part of Bangalore is so badly planned that there aren’t any parks or open spaces for the children to utilise. As a result, the parents have no choice but to let their kids play in the open spaces provided by malls like these. 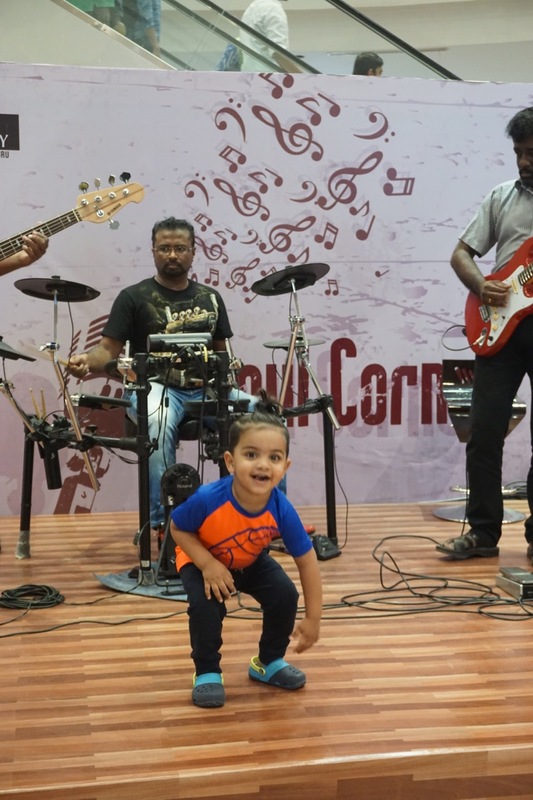 This kid danced for quite a long time. The musicians were enjoying his enthusiasm. The downside to this ecosystem is that there is a huge load on the road that runs in front of it in terms of traffic. This is true for most of the major roads that connect major malls or commercial establishment. 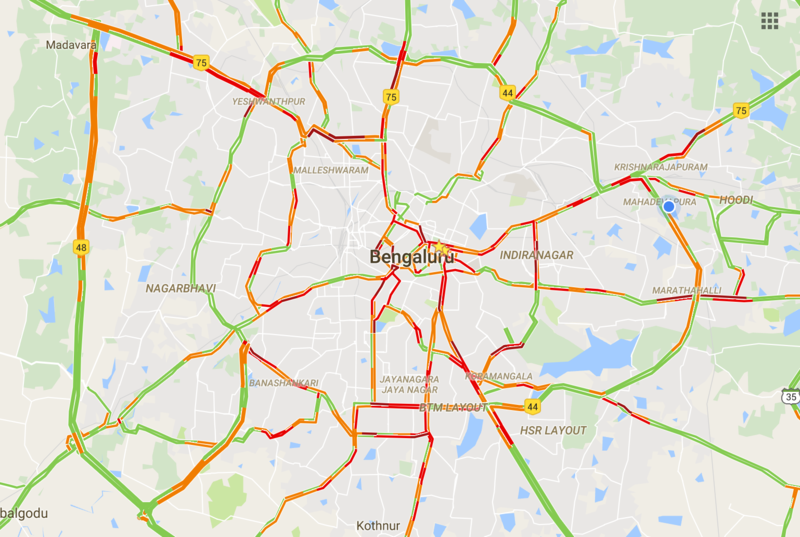 On Saturday Nights, traffic scenario deteriorates pretty fast. Here is a screenshot. Just look at the amount of red!